Welcome to the Rose Blossom Blog Hop! 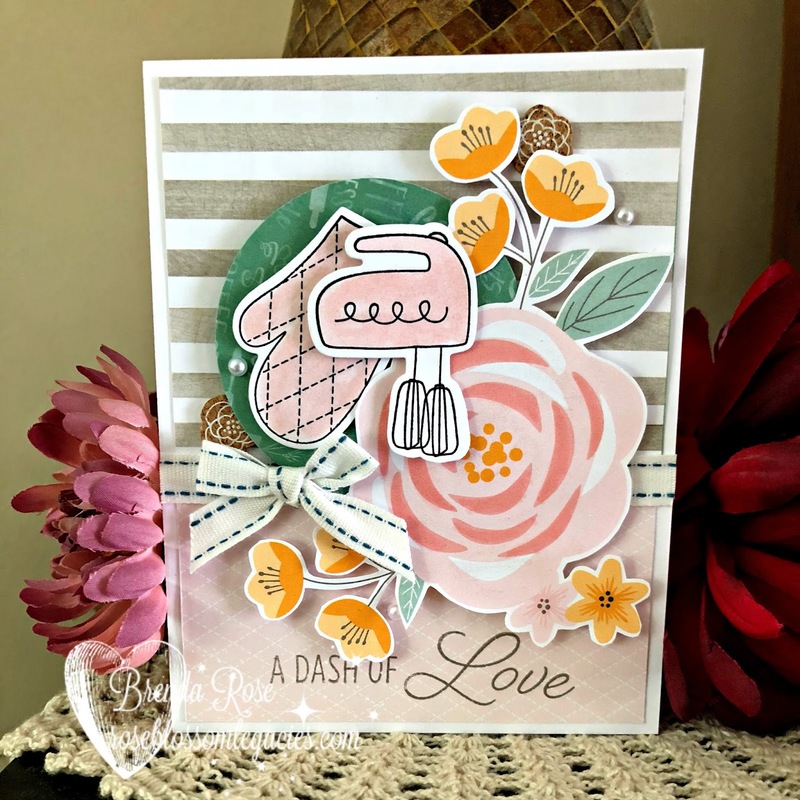 We are popping in with a special hop to show you the goodness that is within the pages of the Seasonal Expressions 1 Idea Book. If you don't have a copy, please click here, and I will send one off to you right away! 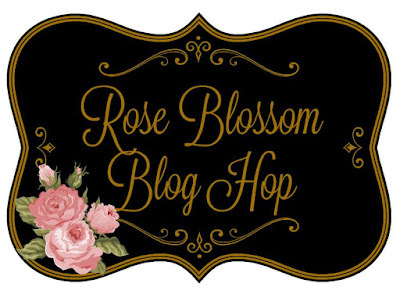 Now the Blog Hop is one big circle. Whether you've started here or somewhere else, you just continue follow the links until you're done. Let's get started! 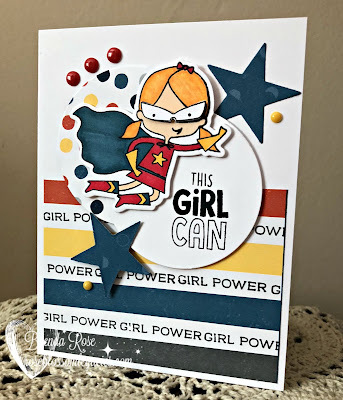 I've chosen to show two papers, and I'll start first with Stargazer and my favorite new stamp, Super Girl. I've used the one of the striped Stargazer journaling cards on the bottom, and that white space gave me the opportunity to stamp "girl power" in lines. I colored the super girl with Pastel Peach, Marine Blue, Marigold, Carmine, and Golden Yellow markers. I used black ink to stamp the sentiments. I used Thin Cuts to make the circles and stars and Stargazer Dots to embellish. My next card uses the Gimme Some Sugar paper packet and the Gimme Some Sugar and Kitchen Traditions stamp sets. The grey striped paper is one of the journaling cards from Gimme Some Sugar. I also cut the large flower from a journaling card. The oven glove and mixer have been colored with our new Bashful shimmer pen. RUN to order that - it's beautiful!! The peacock striped ribbon is gorgeous, and the Gimme Some Sugar cork shapes are just plain fun! Your next stop on the hop is LIZ, and she has beautiful artwork for you!! Thank you so much for by today and hopping through our blogs! We all love to create, and it's a such a privilege to create for you!! Oh my gosh, that first card is so cute. Now, I am going to NEED that girl power stamp set. The other card is lovely and sweet. Your cards are darling! Beautiful job! Love both cards with all their layers and colors but that Super Girl card really made my day! Fantastic artwork as always!